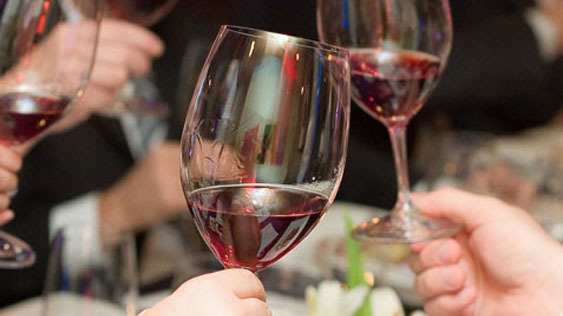 No matter the occasion, WineNot has a trained and experienced staff that’ll make your home or corporate wine party an event to be remembered. From casual home wine parties to bridal showers or corporate events, we can design your party with the wines, artisan cheese and gourmet chocolate to suit your occasion and budget. If you are looking for cheese and/or chocolate for your wine party, we will provide expert food and wine pairing advice. You also can choose a beautiful cheese selection from our artisan cheese case. 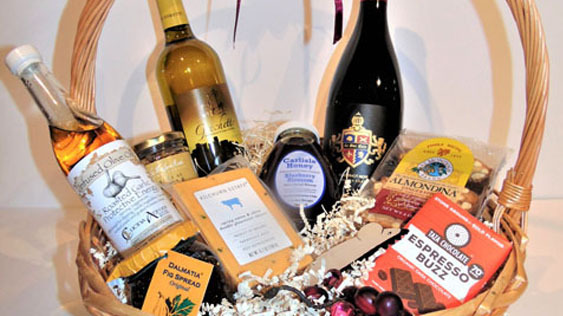 WineNot Boutique offers a wide range of gift baskets for any occasion including anniversaries, birthdays, and holidays, with prices ranging from $50 to $200. Choose from one of our pre-made baskets or customize your order to fit the occasion. Choose from our beautiful selection of wines, gourmet food items, wine accessories and boutique gifts. Looking for the perfect house warming gift? Need a birthday present that they’ll love? Or just want to get a little something for that special someone? Look no further! 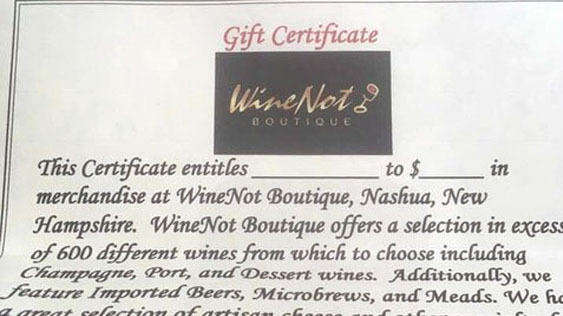 Purchase a WineNot Boutique gift certificate in the amount of your choice. Purchase over the phone and we will airmail your gift certificate at no additional charge, or we can send you a digital copy via email. 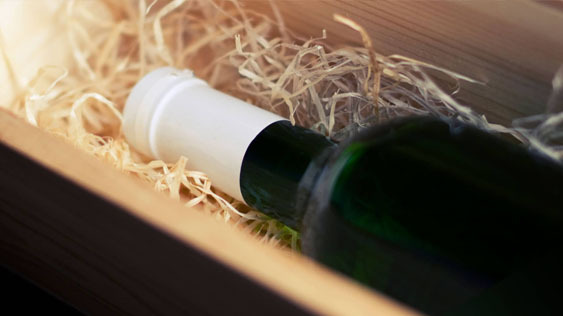 Winenot offers a free delivery program for orders of $150 or more. 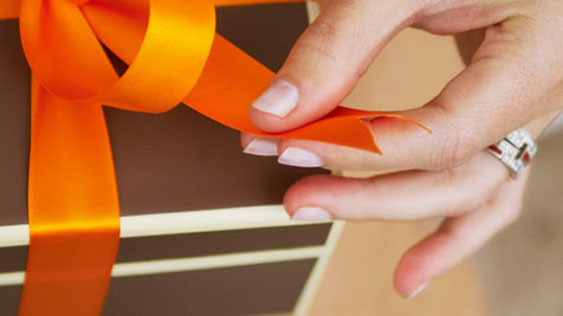 All orders must be prepaid before leaving our shop for delivery. An adult 21+ years old must be available to accept any orders containing wine.